To celebrate the contributions that architects have made to our communities and to honor the Society of Architectural Historians which is hosting its 2018 annual conference in Saint Paul, Ramsey County Historical Society will be posting past important articles that feature architects from our magazine, Ramsey County History, during April. For a link to the Society of Architectural Historians 2018 Annual Conference, see the conference webpage here. 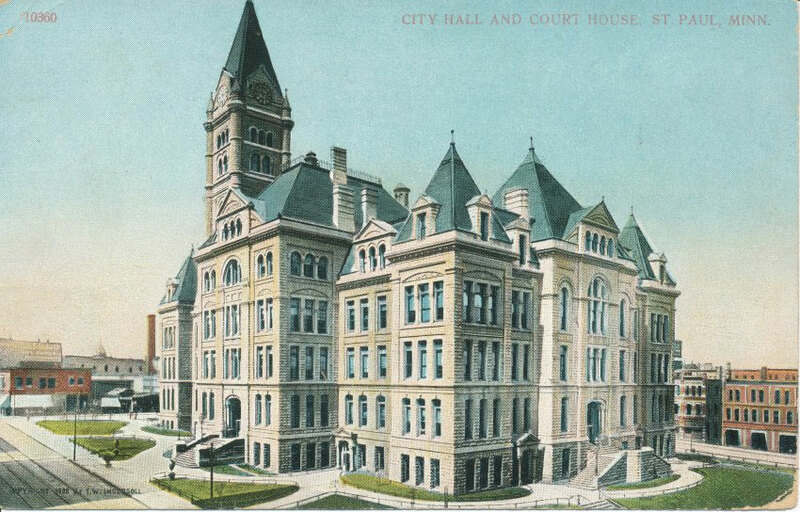 Featured image, above, City Hall & Courthouse, Saint Paul. From a postcard in the RCHS Collection. 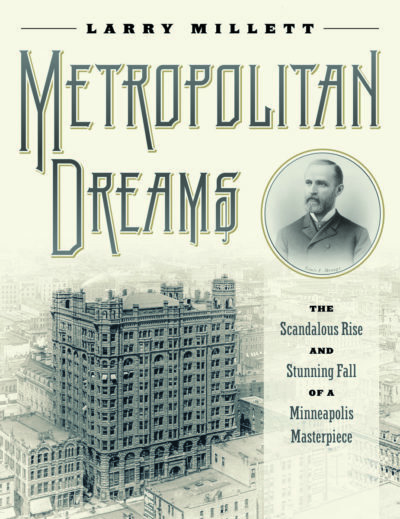 04/11/2018: Emma F. Brunson: The First Woman Registered as an Architect in Minnesota by Diane Trout-Oertel. Published in Ramsey County History, Fall 2017, Vol. 52, #3. 04/13/2018: St. Paul’s Beaux-Arts Libraries: Philanthropic Architecture in a Local Context by Lauren M. Freese. Published in Ramsey County History, Spring 2012, Vol. 47, #1. 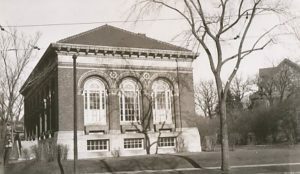 Image is of the St. Anthony Park Library, circa 1930. From the Ramsey County Historical Society collection. 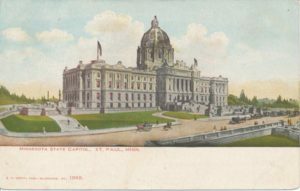 04/16/2018: Who Built the Minnesota Capitol? John Rachac, Master Carpenter by John Sielaff. Published in Ramsey County History, Spring 2012, Vol. 47, #1. Image is the Minnesota State Capital, unused printed postcard, E. C. Knopf, Milwaukee, circa 1900. From the Ramsey County Historical Society collection. Black and white photograph of our Lady of Victory Chapel, St. Catherine University. 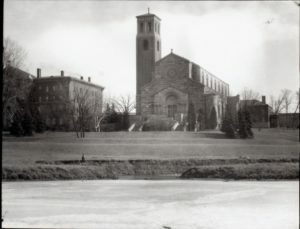 Other campus buildings are visible to the left and behind the chapel to the right. Handwritten text on back, “St. Catherine’s 1933.” From the RCHS Collection. 04/25/2018: The Sullwold Saga by William Beyer. Published in Ramsey County History, Winter 2016, Vol. 50, #4.